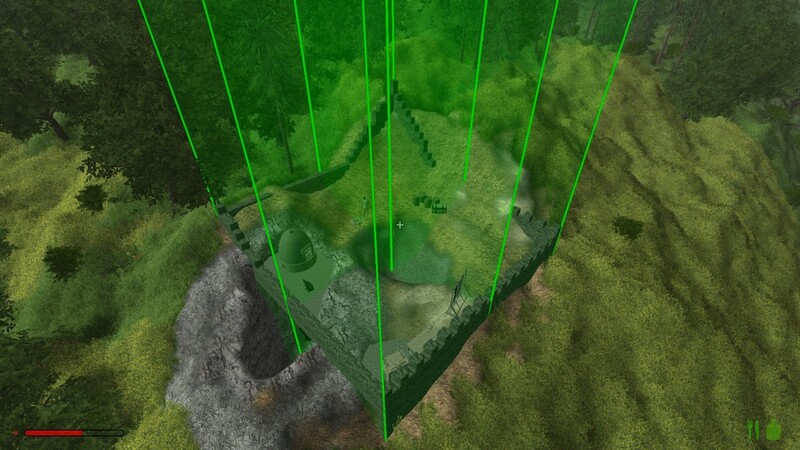 With AXES (Accolades eXtended Ensconce System) land-claim and area ownership is controlled by the players not the admins. Discover new lands and claim them for your Kingdom! Survive on the sever in PvE mode and you will be rewarded with crowns, survive in PvP mode and you’ll receive even more crowns. There are also various shops where you can sell items to for more in game currency. Land that is owned by a player cannot be claimed, excavated, built on, have game assets destroyed within or assets stolen by any other player – unless the player is explicitly in the owners friend list. 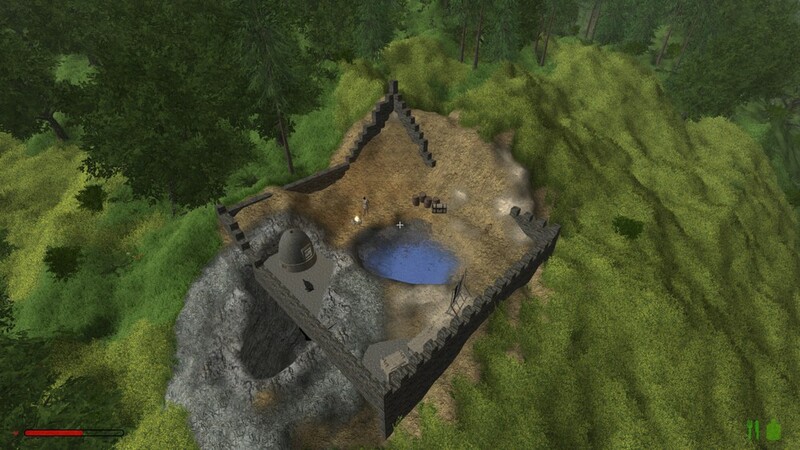 In order to promote exploration within the world, doors and hatches in areas protected with AXES are usable by all players with the exception of prison doors and drawbridges; only area owner and their friends may open or close these game assets. 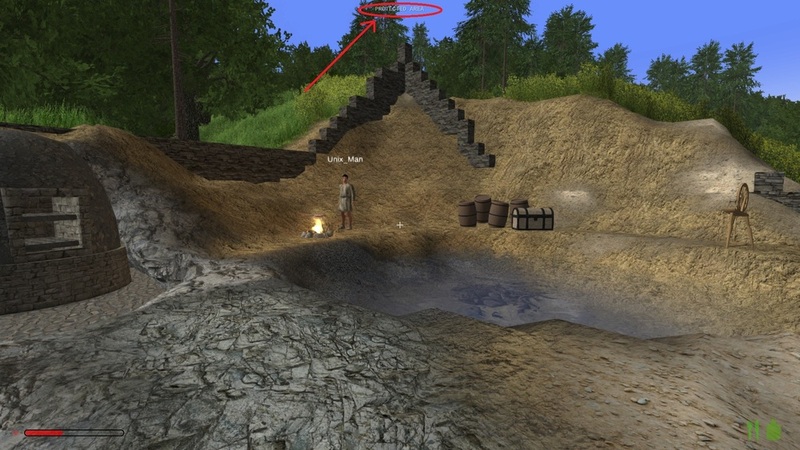 Players entering a zone with AXES protection are still able to drink water and use any cooking facilities provided by the host player. Furnace contents are protected from theft. Players not on your friends list may add ore to your furnace(s) but they may not take the ore back or any of the subsequently created ingots. Guests may not add fuel to your furnace, ignite or extinguish. Tanning racks are protected. 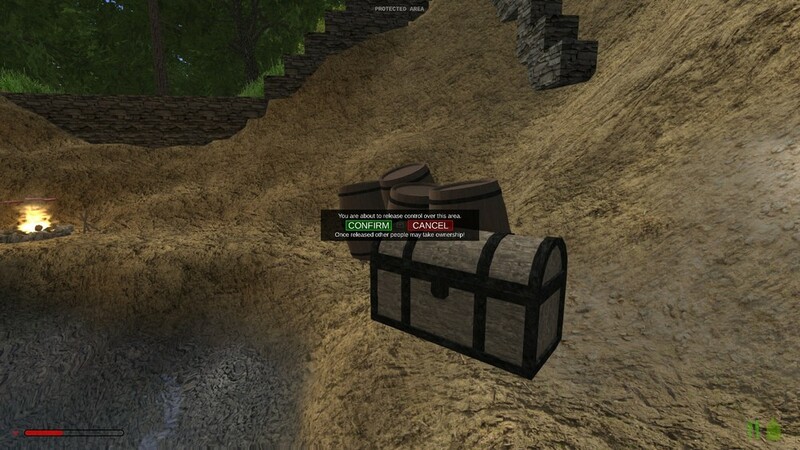 Any chest you create either before or after the area is protected with AXES is not only protected from theft but is also protected from prying eyes. You will know when you are in an AXES protected zone as you will see the text “You are in the lands of <PlayerName>” at the top of your screen. Find an unclaimed location that fills your needs and start building either by yourself or with friends. Protect your newly founded settlement from other player attacks with Medieval Realms AXES. When you’re ready to move on to discover new lands: abandon your settlement and sell your land back to the Land Registry. Always know when your settlement is protected with AXES’ simple and unobtrusive feedback interface.